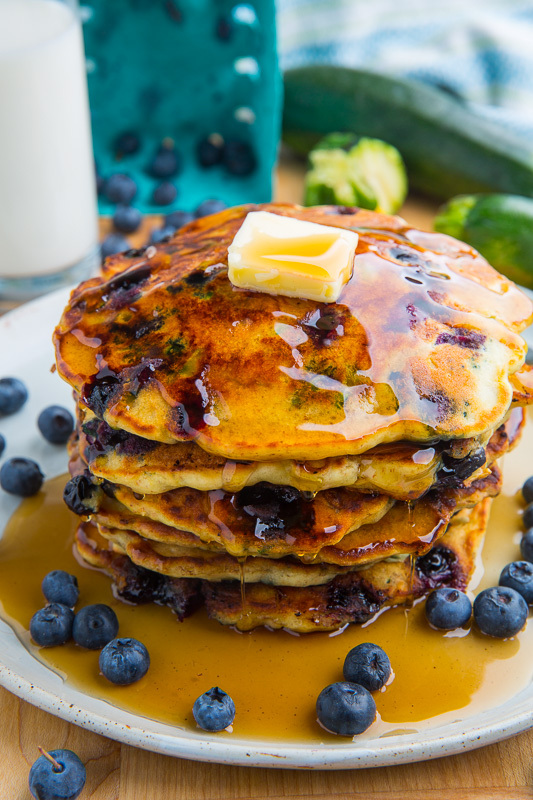 Light, fluffy and moist zucchini pancakes stuffed with blueberries! 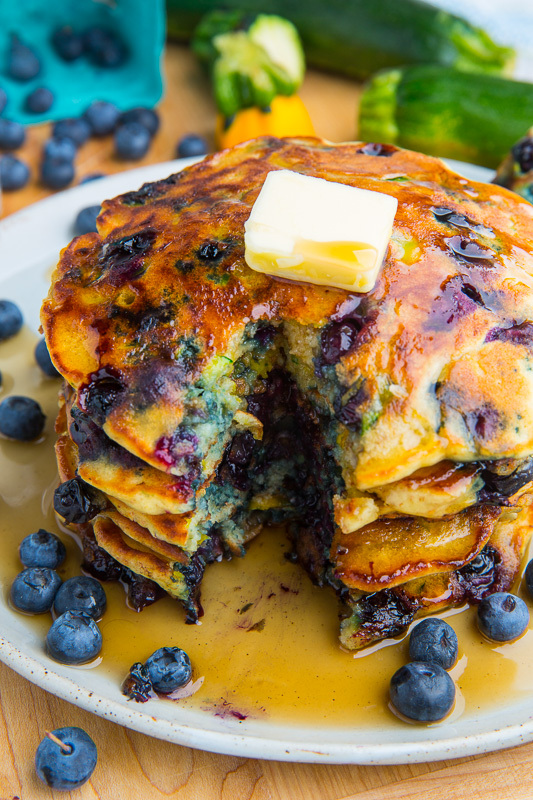 Fresh homemade pancakes are one of my favourite breakfasts and I am currently crushing on these moist and fluffy blueberry zucchini pancakes! Pancakes could not be easier to make! You simply mix all of the ingredients into a batter and cook them in a pan until lightly golden brown. 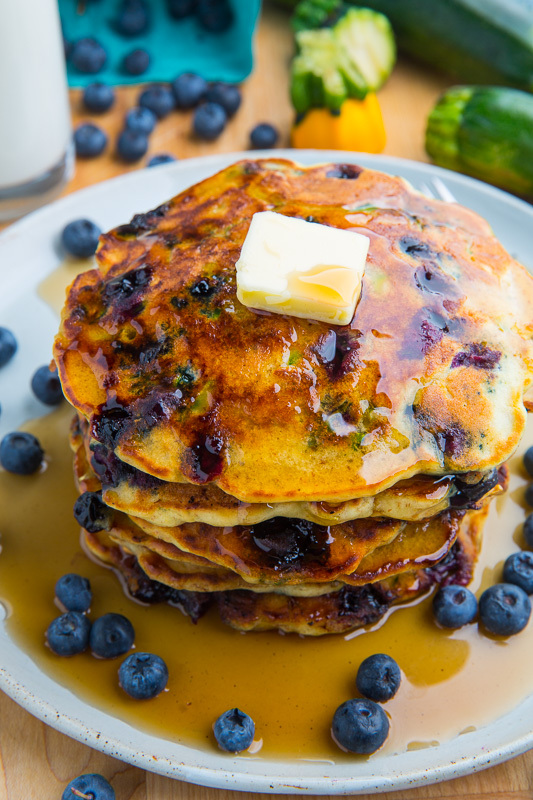 I have added zucchini, lemon zest and blueberries to these pancakes to give them a fresh hit of summers flavours and they are simply divine! 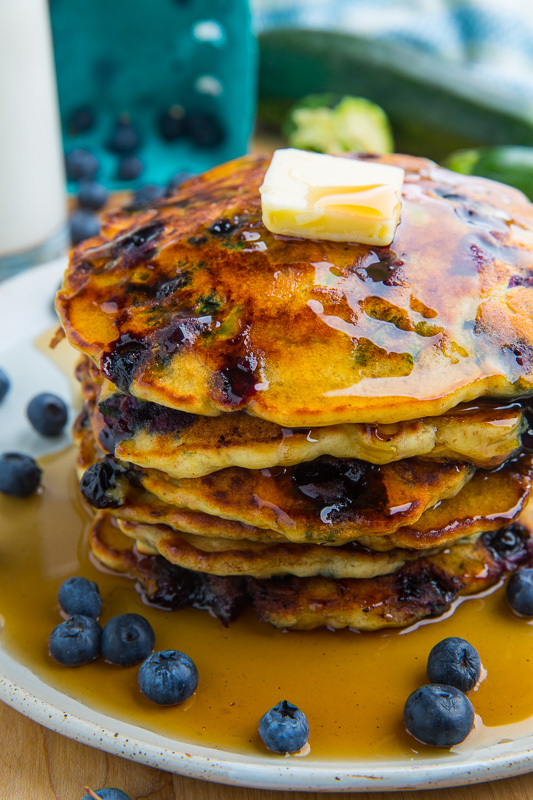 The zucchini helps keep the pancakes nice and moist and the blueberries and lemon zest add plenty of flavour! 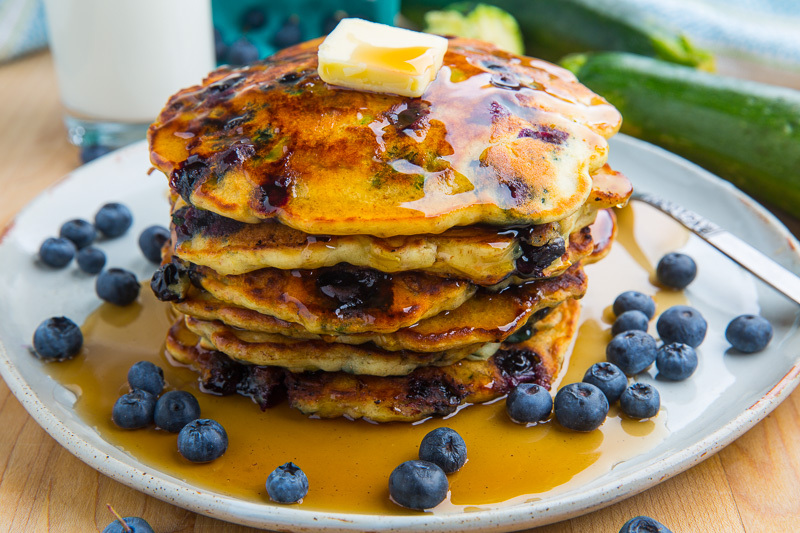 I like to top these blueberry zucchini pancakes with maple syrup and butter making them one really amazing summer breakfast, lunch or dinner! Option: Replace some or all of the flour with whole wheat flour. These were fantastic! Thank you! Yes, you can freeze these!